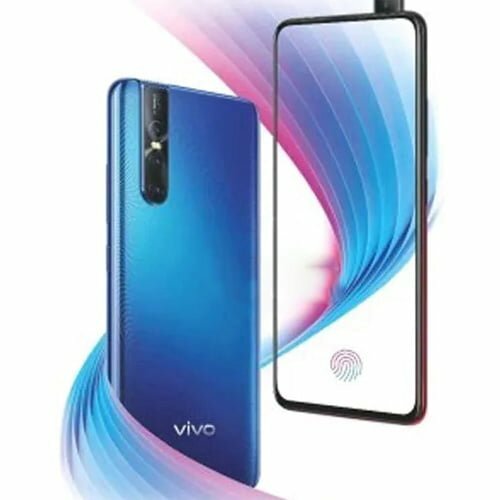 The smartphone with the big dot digital camera point named Vivo V15 Pro is about to appear. Vivo recently shared a teaser image of its upcoming smartphone in India called the Vivo V15 Pro. V11 Pro’s successor device is likely to be one of the first phones in the V line to adopt the retractable camera mechanism, which is a feature of Vivo NEX. 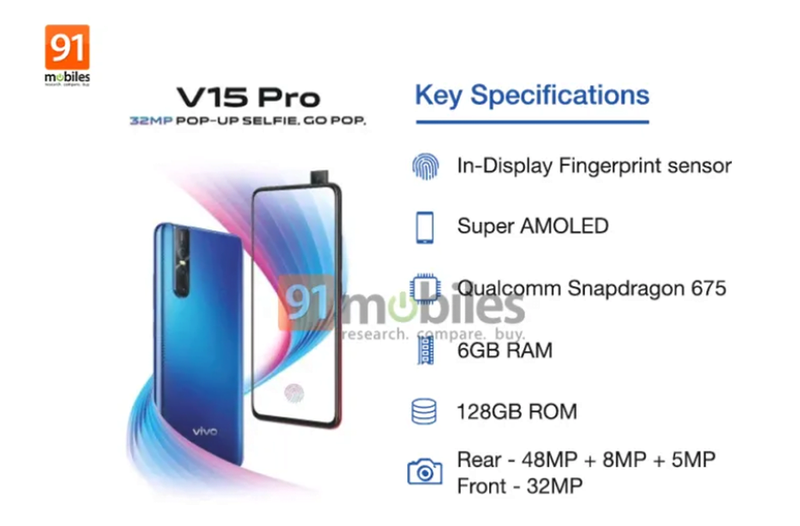 Currently, the detailed specifications of the phone have also been revealed, the Vivo V15 Pro is equipped with a screen with Super AMOLED panels, running Snapdragon 675 chips, fingerprints under the screen and accompanied by a camera system. According to leaked sources, the rear camera will be a 12-megapixel Samsung GM1 sensor and use interpolation to export 48MP hi-res images, the phone will also have Vivo’s first three cameras set up with The remaining 2 cameras have 8MP and 5MP resolutions. And yet, the Vivo V15 Pro’s front camera is even more impressive with the world’s largest 32MP resolution and pop-up mechanism. The report also said that the device will have 6GB of RAM and 128GB of storage, launching on February 20 in India and may cost about Rs 25,000 (8 million).